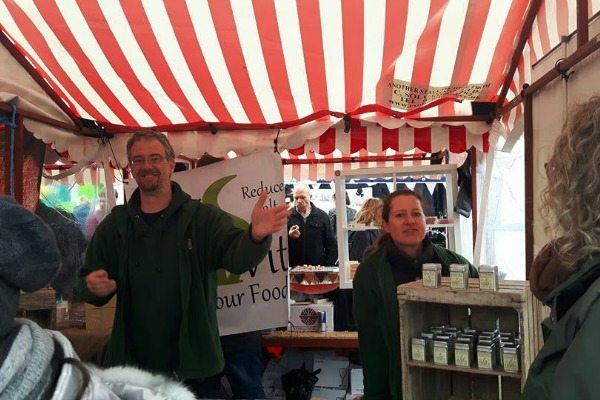 Vegetarian And Vegan Food Festival Fun! 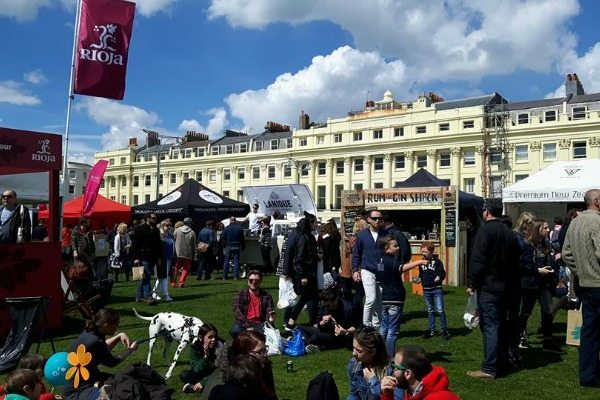 Brighton and Hove heralded in the Foodies Festival with a gleeful blast of sunshine… for the most part. 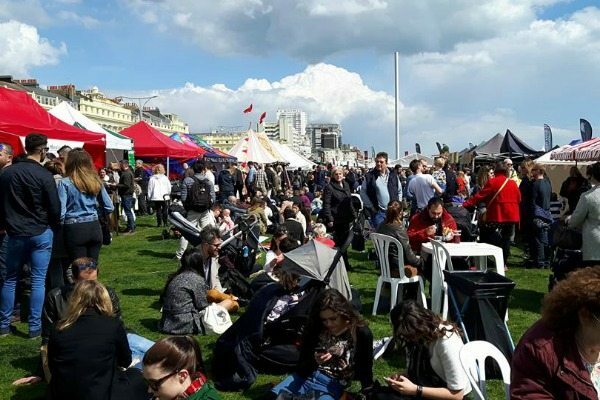 The lawns on the seafront were served up a delightful dish of food stalls, live music, entertainment and cooking talks from celebrity chefs like Masterchef’s Ping Coombes. Captain Morgan’s went to town with a bar in the shape of a pirate ship, with pirate bar staff serving up dark and stormys and other generously rum-based concoctions. It just happened that as I was tucking into my own dark and stormy, a great grey cloud emerged and the weather emulated the drink. 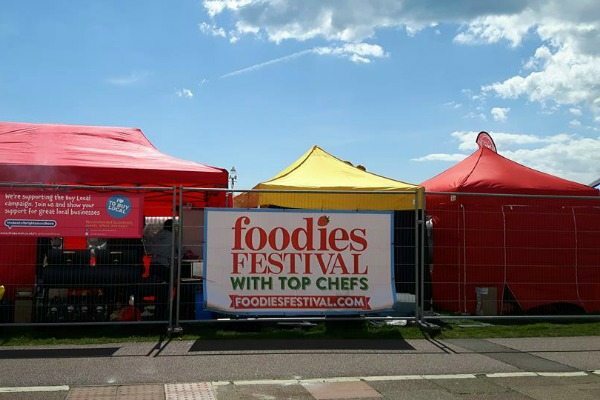 Luckily Foodies Festival had many places set up for shelter. Though, for most of the weekend, the festival was bathed in brilliant sunshine. But even on the Monday, when the weather was so dismal even the i360 was partially obscured in mist, there were huge crowds. 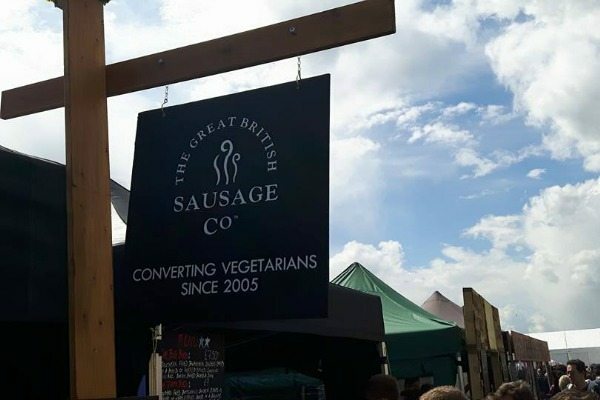 A lot of the stalls were meat-oriented, including Flamin’ Rooster BBQ, Crispy Duck Rotisserie, and The Great British Sausage Co., who boasted on a sign that they had been converting vegetarians since 2005 – well, not this one! 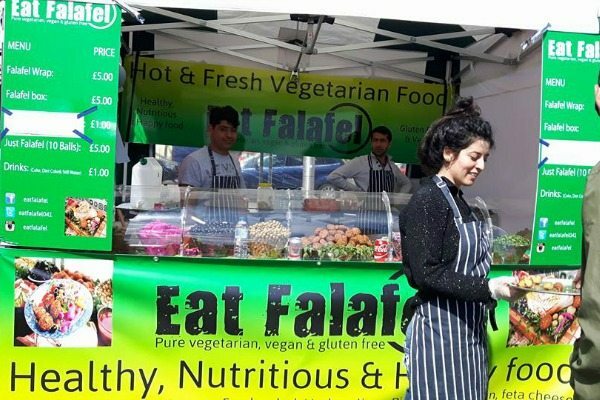 Here is a sprinkling of the vegetarian and vegan-friendly businesses I was most impressed with at the festival. I am no aficionado but Eat Falafel had the best falafel I have ever tried. 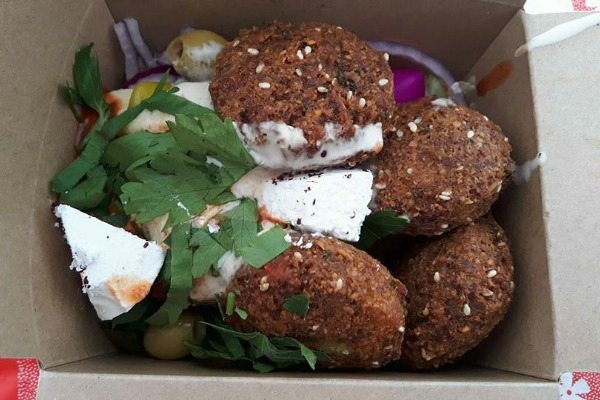 I got my hands on one of their salad boxes, which was a glorious explosion of red onion, coriander, pickle, salad leaves, goats cheese, falafel and a vibrant pink pickle-like vegetable which looked like it had come from Mars. 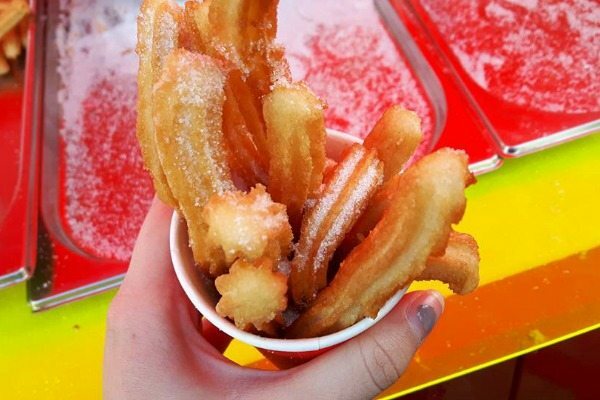 Churros Garcia provided vegan churros made right in front of you, with the option of a sumptuous vegetarian chocolate dipping sauce. 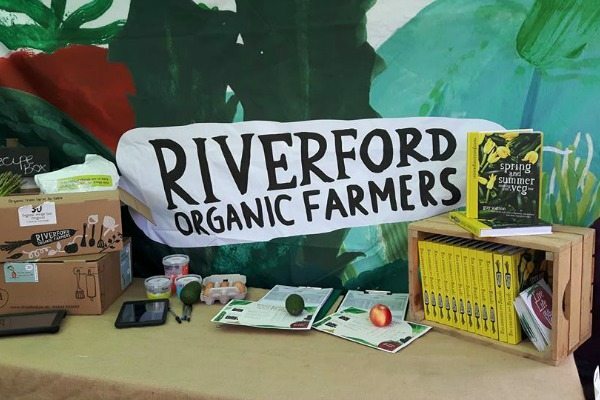 But what makes Organic Farms’ products stand out from, for instance, the wonky veg boxes on sale at Hollingbury Asda? 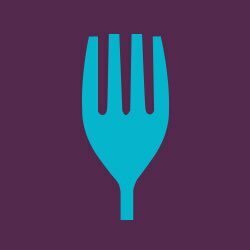 “The food is very fresh. The quality is better and it lasts longer. And it is imperfect, a bit wonky,” she said, holding up a bent carrot as an example. Indeed, their food is all produced in the UK, with the nearest farm to Brighton in Andover. 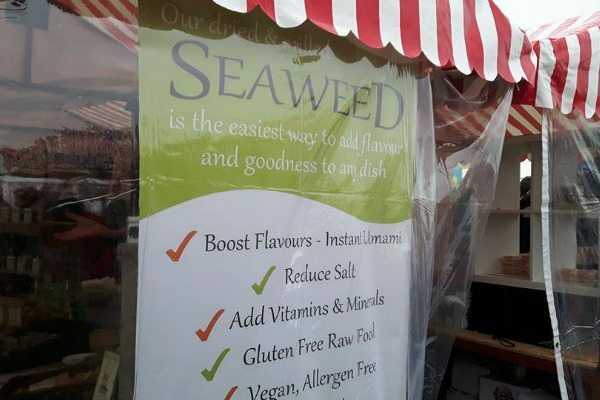 The enthusiastic couple told me that the superfood seaweed is a healthy alternative to salt, with 85% less sodium and plenty of other health and culinary benefits. It is the most mineralised plant on the planet and is particularly rich in iodine which is essential for a healthy thyroid and helps boost metabolism; a good addition to a vegan diet. 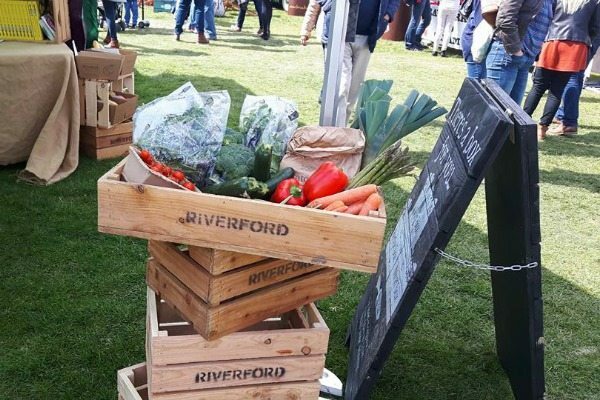 The Foodies Festival was a fantastic weekend, and I for one can’t wait until it’s back next year.